Home > Music > Your Handy & Helpful Guide to Booking Live Wedding Music! 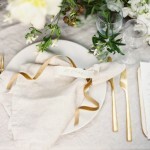 Taking on the role of wedding planner will often mean diving into the deep end and learning along the way. When it comes to live wedding music there are certainly a number of guidelines to take on board before you begin your search; from schedules and band requirements to overall budget expectations. At Bands For Hire we speak to thousands of brides and grooms every year and many have similar queries, so we’ve put together this simple wedding music guide to help you get started. During the early stages of your search, it will soon become apparent that prices can vary wildly from one act to the next. As well as quality, this often comes down to the popularity of the band, with in-demand bands sometimes charging double that of new acts. We’ve based our budget guidelines on the industry average fees (to give you an idea of what you can expect for your money before you begin planning). When making your enquiries, it’s always a good idea to have a rough idea of when your musicians will be playing in order to receive an accurate quote. There are so many factors that could increase fees, from early arrivals and late finishes to the period of time spent at the venue. 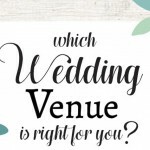 There are four typical times of the day when English weddings will traditionally feature live music: the ceremony, afternoon drinks reception, wedding breakfast and evening reception. Whilst our infographic can be used as a rough guide, every wedding is different and there are no set rules! Always be sure to check your band’s requirements with the venue before you sign on the dotted line. As well as electricity and sufficient space to set up, your musicians may also request refreshments for the evening, suitable parking for their vehicles, a changing room and a gazebo if setting up outside. If you’re yet to book your perfect live band, then why not head over to Bands For Hire where you’ll find a whole range of wedding musicians including harpists, string quartets, pianists and cover bands.